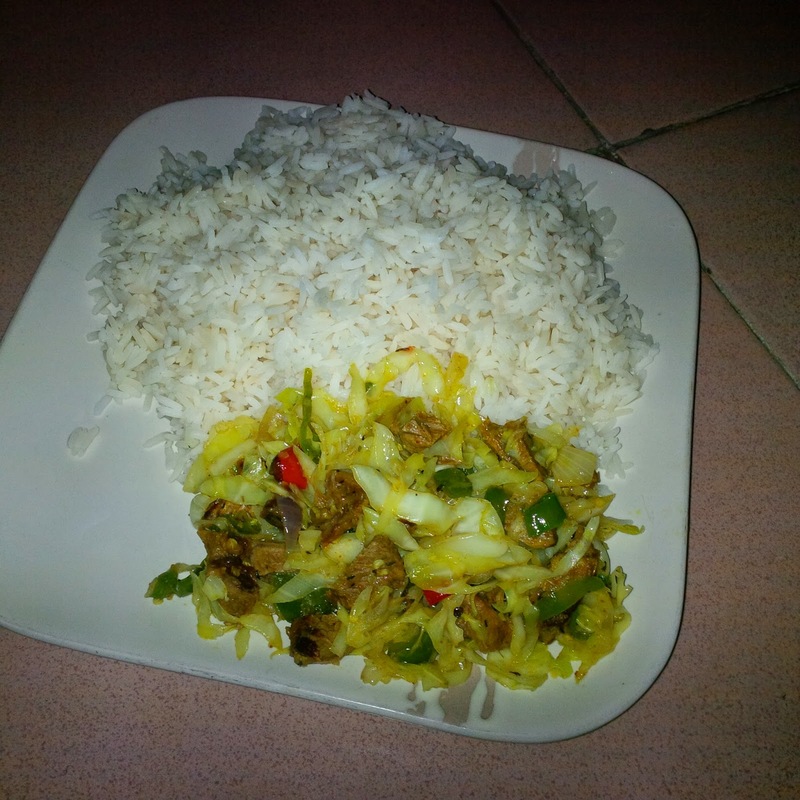 IG: @AfricanFoods: ‎Boiled rice and diced meat vegetables! Dice boiled meat. Heat groundnut oil and add sliced white onion, green pepper, chilli pepper and cabbage. Add salt and Maggi to taste.